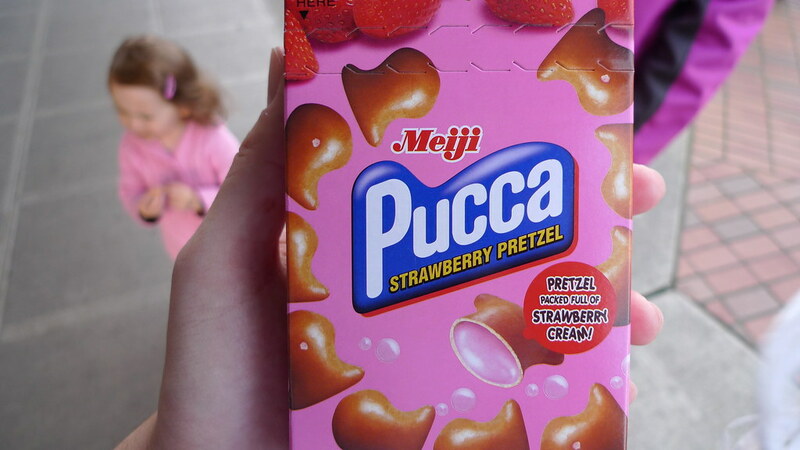 I know Meiji's Pucca strawberry pretzels have been around for a while, but I've never tried them before. My sister-in-law bought them on a recent trip to a Japanese grocery store and I tried a few. If you like Yan Yan, then you'll like Pucca. I for one do not like Yan Yan and therefore cannot recommend this snack. The pretzel shell does not really taste like pretzel. But my major problem with Pucca and Yan Yan is the strawberry cream. It tastes really bad. Pocky's strawberry coating has a much tastier flavor. Kids may enjoy these snacks, but they are not for me. If you want something similar and yummy, get the Koala March chocolate snacks.